If there ever were a day worth celebrating Mother’s Day is it. Mother’s are the cornerstone of our lives and do everything for us with love and no expectations, or at least my Mother did and I hope I am doing the same for my daugther. 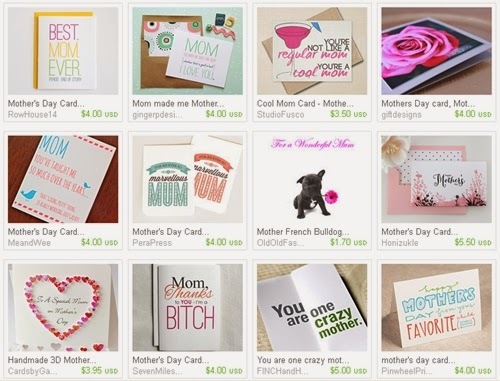 Need some creative ideas for a Thank You to your Mother? 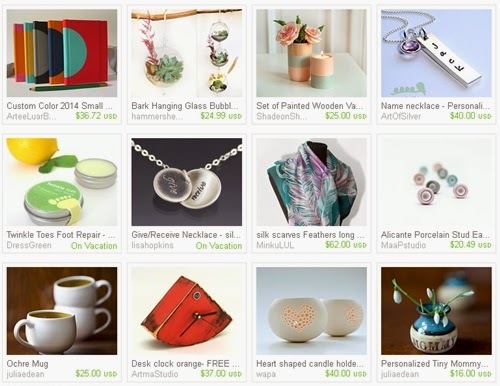 Here are a few items I think she would love from a great range of talented Etsy Sellers. And of course, don’t forget the Card, an important part of any Gift whether you like funny or Cute. Whatever type of mother you have, there is always something just right for her. PS. Hope you all get the most important Mother's Day gift of all, a big kiss and cuddle from our children (and breakfast in bed doesn't hurt either).